Recently University Grants Commission (UGC) banned all institutions and universities offering engineering & technology courses such as B.Tech, BE etc. The ban is applicable on all diploma and post graduate courses in engineering and technology through distance learning mode. Although MBA & MCA courses are not effected with this and universities can continue offering these courses without any problem. 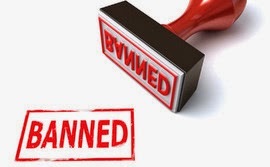 The ban will remain active until any further notice from UGC. In the notification published by UGC, it is clearly mentioned that an action will be taken against any institution or university violate the ban. Institutions and Universities are asked to stop offering any engineering or technology courses from the year 2009-10. In 2010 and 2011, AICTE also notified its policy not to recognise the qualification acquired through distance education mode at diploma, bachelors and masters level in the field of engineering and technology. We were expecting this since UGC take over the DEC. The issue has been raised many a times and actions has been taken. As we know UGC is working on new guidelines for distance education and this step could be a part of that. May be in future UGC come with some fresh guideline for such courses and then it become possible for institutions and universities to run such courses. In the notification UGC didn't mentioned any name of university or institution offering such courses and we also don't know if UGC has sent a formal notification by email to universities and institutions which offering such courses. Now we've to see how UGC can handle the situation specially with universities and institutions which doesn't come under UGC regulation.